[Via Satellite 07-09-2014] ASC Signal has added a new 2.5-meter carbon fiber antenna capable of operating in L-, X-, C-, Ku-, Ka-, Q- and V-bands. 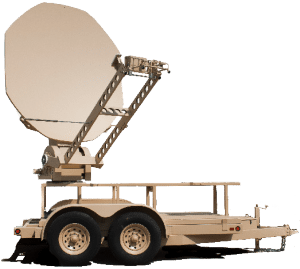 The product is Army Forces Strategic Command (ARSTRAT)-certifiable and grows the company’s carbon fiber antenna offerings, which includes 2.4-meter, 3.9-meter and 4.0-meter carbon-fiber antenna products. The new antenna was designed with input from the U.S. military, which subsequently placed a “significant initial order,” according to ASC Signal. The company’s 2.5-meter system complies with U.S. military specifications for trailer mounting and remote field deployment. The antennas were designed with ASC Signal’s Next Generation Controller (NGC) for high level tracking accuracy.